Pray for the Nations is a commandment with a blessing. The blessing is “so that it may be well with you”. The decisions of governments impacts our daily lives, is enough reason to pray. The call to pray for our nations is irrespective of your political affiliation. 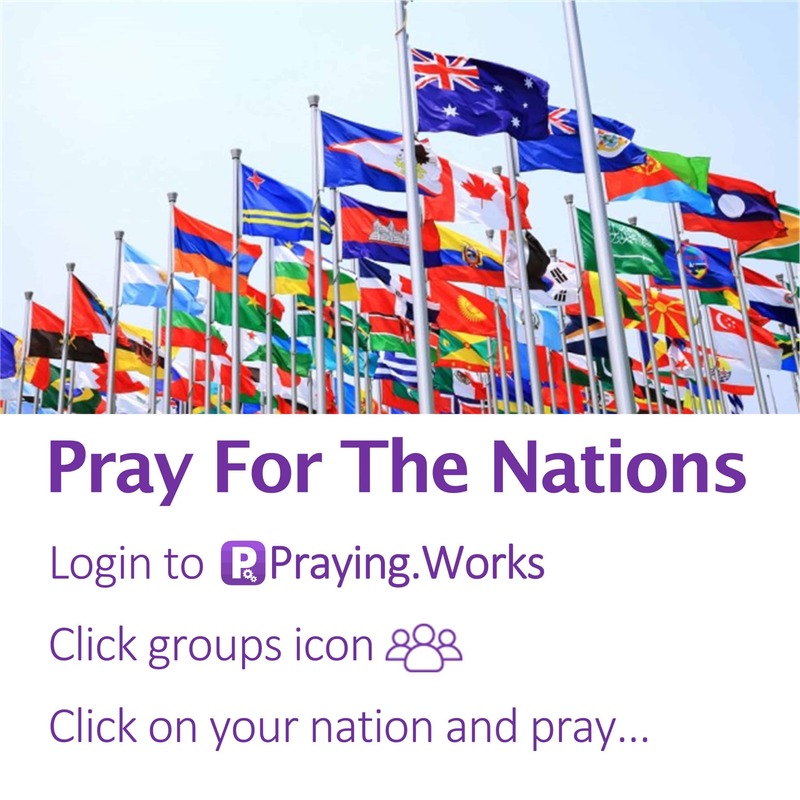 The success of nations directly impact its citizens and citizens of the world – so we should pray for the nations. There another reason to pray for the nations… it’s a spiritual reason. In Isaiah 49:6 the prophesy about Jesus reads – “It is a small thing for you to be my servant to restore the tribes of Jacob and bring back those of Israel I have kept. I will also make you a light to the Gentiles, that my salvation may reach to the ends of the earth“. Continue praying for the nations, every time you have an opportunity to pray, use that moment to pray for the nations. Encourage everyone you know to join you in prayer and praise to God, praying for the nation you live in and for every nation. That the salvation of God reaches everyone even to the ends of the earth. Praying for the nations that salvation will reach them is the ultimate praying goal. When the gospel of the good news of Jesus the Christ reaches the entire world, Jesus returns. It means the return of Jesus needs us to pray for the nations.